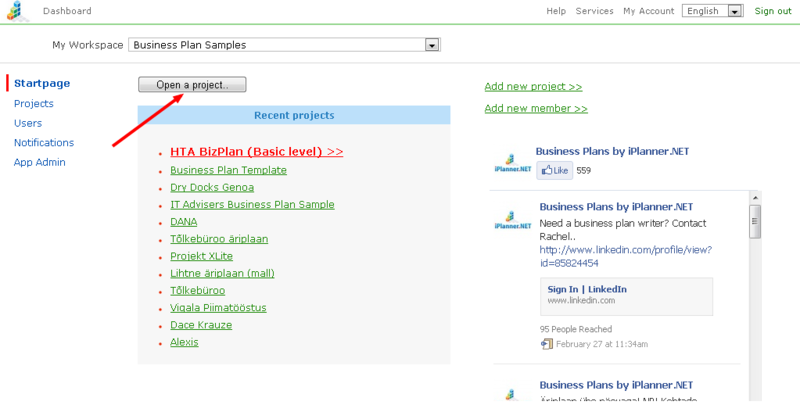 To develop a business- or financial plan with iPlanner.NET software, you must first open a project. Move to "Dashboard" > "Startpage". Click on the "Open a project.." button. Select the workspace, subunit and the project to open. Projects can be added, deleted or changed by workspace administrators. 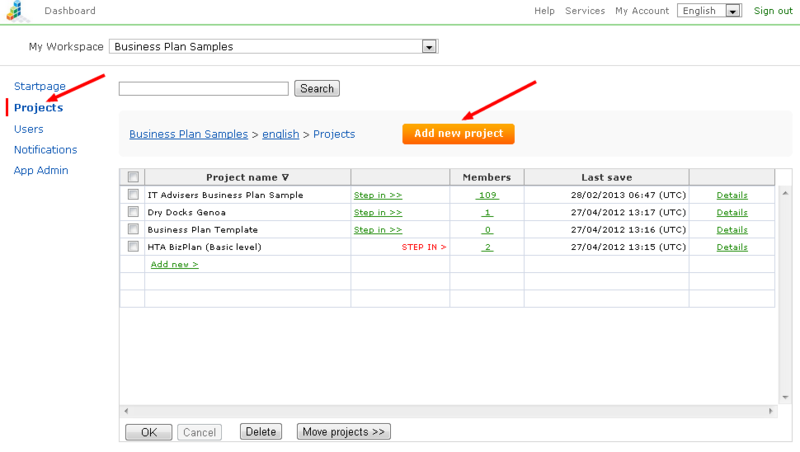 To add a project, go to "Dashboard" and select "Projects" (on the left). Select the workspace and subunit where the project shall be added. Click "Add new project".